While many businesses are gearing up for the holiday rush, they’re also planning next year’s expenses. Before making your final decision, take a look at your parking lot – does it need to be on the list? We’re here to help you figure that out and find some cost-effective ways you can update your pavement. Issue: After it rains, you have a lot of lingering puddles/standing water. Solution: This usually signals an issue with your pavement’s drainage, which can speed up the wear-and-tear process if it goes unchecked. Our exclusive laser profiling service will ensure proper water drainage. Issue: As pavement deteriorates, it shows in cracks and pot holes that can potentially damage cars. Solution: If you keep on top of the deterioration, it might only need an overlay or patch job. If the underlying base is sound, then we can fill in and level the surface for a cost-efficient, quick repair. Issue: You have heavy trucks or lots of traffic on your pavement daily, so you’re constantly replacing your lot. 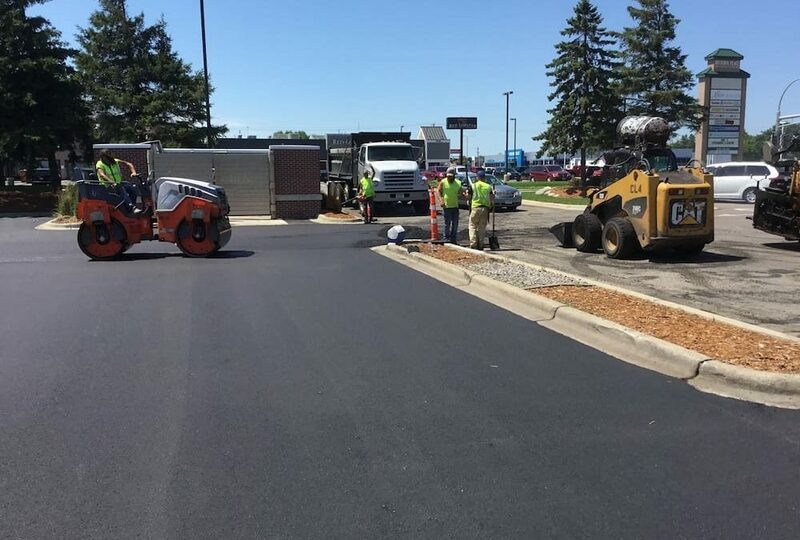 Solution: Our experts can evaluate your needs and mix up a special asphalt finish that’s more durable than the typical mix. Long-term, it will save you money. Issue: Your lot has too much damage to be fixed with an overlay, but it’s made of asphalt. Solution: Luckily, asphalt can be reused through a reclaiming process. This can save you money, plus it’s more environmentally sound. If your parking lot is showing any of these issues, give us a call for a free estimate before the final budget has been made.